The product works after I found a suitable adapter. Very good. Arrived very quickly. Good purchase. Fast shipping and item is as expected. Several different light colour mode. Received item and tested good. The different light indensity suit my need. With charging function worth the purchase. But the on off button. The chrome material faded off. But overall, worthy it. This table lamp is really too big or meant for super huge table lor. End up I throw at top of cupboard never use. Waste of money. Plug also China standard socket, need a socket converter. My Usb port is not working for some reason. Plugged it in with a few devices and different cables but still charging detected. The 'air energy" charging still works though. Kindly advice on the solution. Thanks. Dear Customer, pls provide your contact number for follow up. Dear Customer, We are sorry that we did not reply you as promptly as you expected. We will get back to your enquiry as soon as possible, and please allow us to improve and serve you faster and better. Meanwhile, we thrive to source the most competitive prices to you and keep the best pricing in our products. Thank you for your understanding and support. Dear Customer, We are sorry that we did not reply you as promptly as you expected. We will get back to your enquiry as soon as possible, and please allow us to improve and serve you faster and better. Dear Customer, so sorry for the mistake. We will process exchange asap and please kindly return the usb port with original pack for depatch exchange, thanks. Hako seller. Is the Led buld changeable?thanks! We deeply apologize for the recent delay in your order delivery due to high volume issues. Please be assured that we value your support and we are managing all orders at full speed. Customer experience is our utmost priority and we hope to provide the best service to you again. All orders will be shipped out by 31st May, you will receive your parcel by end of the week. Is it warm white or pure white? I am hoping it is warm white. [Re] What colour is the light? This product got 3 types of light colour (cold, natural, warm), thank you for checking with us. The led lamp is working fine. However, the wireless charging is not ok. I put my S7 edge onto the base of led lamp, but nothing happens. so I thought S7 edge moight not be compatible and I tried using the adaptor. again nothing happens. Can you exchange another one for me? All the stock is from same supplier and same model number, this might because the phone model is not integrated with the led lamp. As indicated on our item page, you may return the item to our warehouse by using post office or other shipping service for refund/exchange. May I know when r u changing the price for 2nd item? It's still show as $29.90 and not 2nd item less $10 which should be $14.10. Please chanģge it by today as we want to make use of carton coupon to purchase. The item is on special buy now, $24.9 per pc. The 2nd $10 off promotion is already ended, thank you for checking with us. Hi, the option says 2nd item at $10 off so it should be plus $20.90, why is it plus $29.10? Thanks. Our sincere apologies for not being able to get back to your enquiry immediately as our office was closed over the weekends. We will check and fix it as soon as possible tomorrow mooning. Dear seller, I have purchased two lamps at the wrong price already, can you please kindly refund the additional cost ($9) that I have paid. Thanks! Noted, please let us know once you received the parcel, we will transfer back under the order number. Dear seller, I have received the parcel. May I know where do I view if the amount has been returned back to me? Thanks! 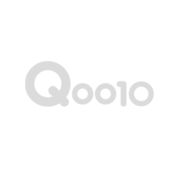 We just processed refund of $9, you may find in your Q-account, under Q-money. Thank you. We are noted on this inquiry, we will request the warehouse to check and get back to you as soon as possible. As our supplier just replied us that bulb is not able to change. Thank you for checking with us.